The purpose of this site is to help one another grow “grace for grace” as the scriptures suggest; line upon line and precept on precept through the wisdom and love that Heavenly Father and Jesus Christ impart to us through his Holy Spirit. (see Isaiah 28: 9-13; Doctrine and Covenants 98: 12; and 2 Nephi 28:30) I will share insights gained through scripture study, church, and other means the Holy Spirit imparts to me. Although I realize that God speaks to us all in different ways and in accordance to what we are willing to receive, it is my hope that all who frequent this site will find it to be uplifting and at the very least helpful in providing a different perspective to consider. I firmly believe that our Heavenly Father has endowed us all as His children with certain gifts and talents and I invite all to share and display these gifts and communications received in an open format on this site. It is my hope that people of all faiths can frequent this site and share insights that will help us grow and cultivate principles of union and friendship, as Joseph Smith suggests. That being said, if the discussion leads to topics and discussions that are off topic I will delete them. May we all grow “grace for grace” and closer to our Savior and Lord, Jesus Christ is my hope. Nice purpose. 🙂 God Bless. Nice purpose….nice blog. May I make a comment? The correct spelling of The Church of Jesus Christ of Latter-day Saints is where the “day” in not capitalized….as in Latter-day Saints. Not a big thing, I know. Thanks for sharing your blog. Does the Mormon church help church members that are going to lose their homes? My niece and her family live in Georgia and are facing homelessness, they are Mormons. They have 3 sons, one that is autistic, please they have no computer for you to contact them. They need help desperately. Do you have an emergency or anything to help them? They all ready get food from the food bank in their area. John, the husband, father has fulfilled his mission work, many years ago. I am not a Mormon but I have a computer and I am trying to contact someone, anyone that will help them. They live in Winder GA 30680, if you know anyone in that area to help them, please contact me via email. My name is Deborah. Aaron – I just want to thank you for your wonderful blog. It has quickly become one of my favorites. Every week I look forward to reading your posts. You have quite a gift and I appreciate the sensitive nature of your writing. Thank you. Thanks for the great comments. I appreciate you stopping by. Feel free to share and comment on any posts I write. It would be great to hear your thoughts. Thanks so much for your statement of purpose. This is one of the few websites I’ve seen which carries a peaceful spirit! One of the things I have never understood about Mormons was the fact that Joseph Smith, born just over 200 years ago, could attempt to revise the word of God and add to established Christian doctrine that had been around for almost two millenia and still be able to deceive people into following him? Can you shed some light on this? Do you really think that Jesus didn’t give us the whole story in first century Palestine? Other contradictions of the Mormon faith that sadden me would include; Polygamy, the belief that Mormons can be equal with Jesus (i.e. have their own planet), the myth that Jesus visited native Americans after the resurrection, etc. I pray that God, the Father of our Lord Jesus Christ would enlighten your eyes and give you the spirit of wisdom and revelation concerning the knowledge of Jesus and the glorious inheritance that He has in us. Feel free to email me with any insight or comments. I just read your comment about Joseph Smith, etc. I’m an evangelical who was shown by God that although Mormonism sadly is lacking a full revelation of the gospel, it is actually Christian because it encourages people to put their faith in Christ, receive the Holy Spirit, and be led by the Spirit after receiving him. According to the Bible, if you do these things, God promises to accept you as one of His own regardless of how much junk still needs to be removed from your mind. Your questions are good ones and would take a long time to address. 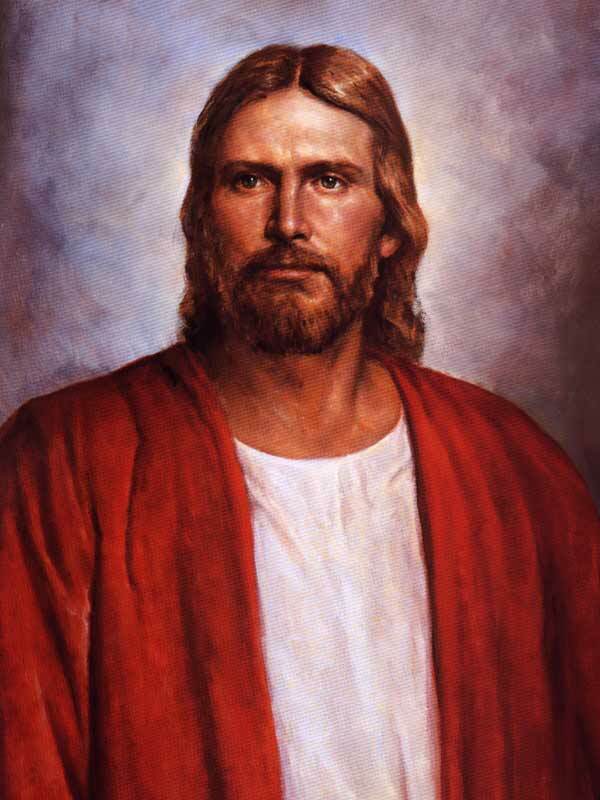 Simply put, Mormons believe that there was a restoration of the original doctrines of Jesus. I’m sure you would agree with me that through the course of time the original Church that Jesus established had become corrupted. Many people such as Martin Luther, Calvin, and others successfully reformed the original Christian church, but never did they restore the church or claim to do so. With the restoration of the Church of Jesus Christ, Joseph Smith once again established prophets, apostles, and other doctrines of salvation such as baptism, sacrament, the gift of the Holy Ghost, etc. Now as Smith introduced other doctrines such as polygamy in his later years, I personally don’t believe in that as a doctrine that Jesus had originally. I’m with you on that one and I’m glad I don’t have to deal with it today like the early Mormons did. As for Jesus visiting what some have said are the ancestors of Native Americans. Who’s to say that’s a myth? Jesus himself said he had other sheep he needed to visit and preach his gospel to. Thank you for your prayers as well. I also hope you and all of Gods children can receive a witness of Jesus as I have recieved and I’m assuming you have as well. It is truly freeing and my life has never been the same since I embraced following the Lord. I love your purpose also. I’m an evangelical (for lack of a broader classification), and I know that a true Mormon is a true Christian. I respect you for your faith and courage to see past the differences and find a common ground, which is Jesus Christ. Thank you for your comments and God bless you too! I understand that it can be hard to swallow the story that God the Father and Jesus Christ appeared to a 14 year old boy in 1820. To anyone who isn’t Mormon, that is outlandish, and impossible. Why would God do that? But as Christians we believe a lot of things that, to the rest of the world, are outlandish and impossible. We believe that God allowed Moses to part the red sea and that He provided mana from the sky. We believe that when the Israelites looked at the brazen serpent, they were healed. And we believe that David slew Goliath. Now, maybe some people could say those things were coincidences or stories that have been embellished. But I believe them to be true. All Christians believe that the Son of God was born to a virgin and that He walked on water, turned water to wine, healed the sick and raised the dead. To anyone who’s not a Christian, those are outlandish and impossible claims. But our beliefs don’t stop there, Christians believe that that same man, took upon himself our sins, our pains, our afflictions and our infirmities. And only after He had done this, he was tortured, mocked and killed by those he was saving. And all Christians truly believe that 3 days later he conquered death, so that EVERYONE, not just those who believe Him, will be able to conquer death as well. No one is trying to belittle the importance or the sacred nature of the Bible; or those inspired prophets who wrote it. Or the Savior himself who established his church while he walked the earth and called Apostles. But it is my testimony that God loves us enough to continue to give us the guidance that we need in the same way He has always done so. It is my testimony that God continues to call prophets today to lead His people. Many people find it hard to believe that God would continue to call prophets today, but I find it hard to believe that He would stop. God called prophets to lead His people for thousands of years, why would He not do so now? Thank you for your prayers and questions. I’m sure God will bless you and those close to you for your sincere thirst for knowledge and truth. Amen to your comments my brother! Come by and leave your testimony anytime! Thank you so much, ama49, for providing a truly wholesome, uplifting, and worthwhile place to go on the Web. I am genuinely looking forward to exchanging inspiration and agape with my fellow Christians. May our Father in Heaven add blessings upon you and your loved ones! Dear Grace, I am 65 yrs. old and I lost my daughter 4 yrs ago to a hit & run driver. I have a BIG problem. When I am saying the rosary or prayer my mind always wanders away to different things, especially to her. How do I proceed to keep my mind on prayer? Thank You and I enjoy listening to you on EWTN. First of all, I can only imagine the pain you must feel and anger you may even feel towards the driver. Although I have never been through this experience, I can somewhat empathize because I’ve had some very trying experiences in my life as well. My advice to you is to talk to your Heavenly Father. In the Book of Mormon, a prophet named Alma says how we should pray to God and I’ve found it to be true in my own life. Pray for strength over temptation, adversity, and for your well-being. Jesus taught us in the Bible to pray for our enemies. Therefore, pray for the man who hit your daughter. Jesus also took upon himself our sins and adversities. Above all, you should turn over your hurt to the Lord. Ask him to remove it from you and make your burden light. I promise as you do this, the Lord with draw near to you and comfort you and you will feel closer to Him. Can you tell me where I might find your quote of Joseph Smith in your post above? Some publication or some place online? Have a great day in our Lord! Thanks for the question. I’ve updated the reference on the page, but it is found in: History of the Church, 5:498–99. There is a 7 volume “History of the Church” for LDS that has very extensive sermons and revelations given by Joseph Smith. It’s been a long time since I read them and I’ll have to dust them off again because there is some good stuff in there. I’ll bet there is good stuff in there. Thanks.